Greenvale Guitar School offers guitar lessons that are of an exceedingly high standard designed for both beginners and advanced students. We want as many people to enjoy learning music as possible. For that reason we offer exceptional guitar lessons at competitive rates. However it is important to make sure you have a connection with your teacher and are satisfied with the direction of the music lessons. That’s why the first lesson is on us. We have expertise in advanced technique and university-level music theory, as well as AMEB, ANZCA and VCE exam preparation. Unlinke our competitors, we don't charge extra for a "senior" or "advanced" teacher. 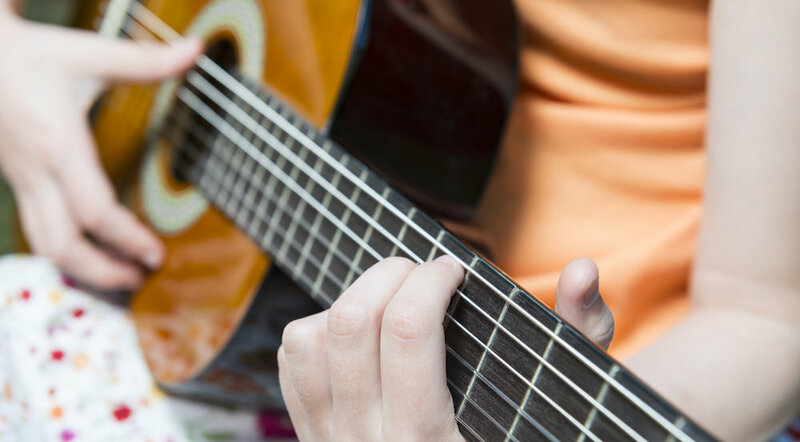 Every student at Greenvale Guitar School receives their lesson from a teacher who can guide them through all levels. You’re not only learning how to play the guitar. You'll learn about coordination, patience, concentration, discipline, time management, developing self-confidence, communication skills, presentation ability, character building, and most importantly, how to express yourself emotionally through music. Whether you want to learn the latest pop songs or your favourite jazz standard, we've got you covered. *Term length is ten weeks. One lesson per week at a scheduled time.